Masar Ibrahim al-Khalil is a long distance cultural walking route in Palestine. The trail spans 330 kilometers, extending from the village of Rummana, northwest of Jenin, to Beit Mirsim, southwest of Hebron (al Khalil). 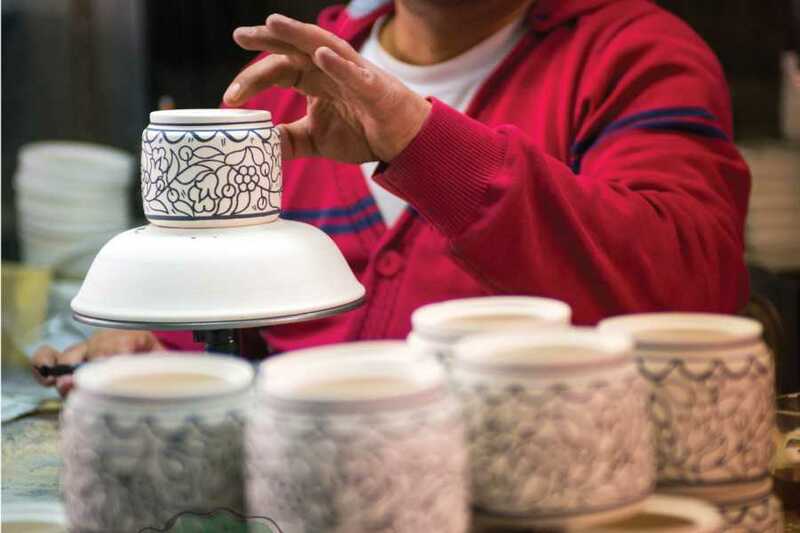 The trail passes through 53 cities and villages where travelers can experience authentic Palestinian hospitality. The Masar Ibrahim is more than just a hiking trail: it is a means of meeting and making connections with Palestinians and hikers from all over the world. 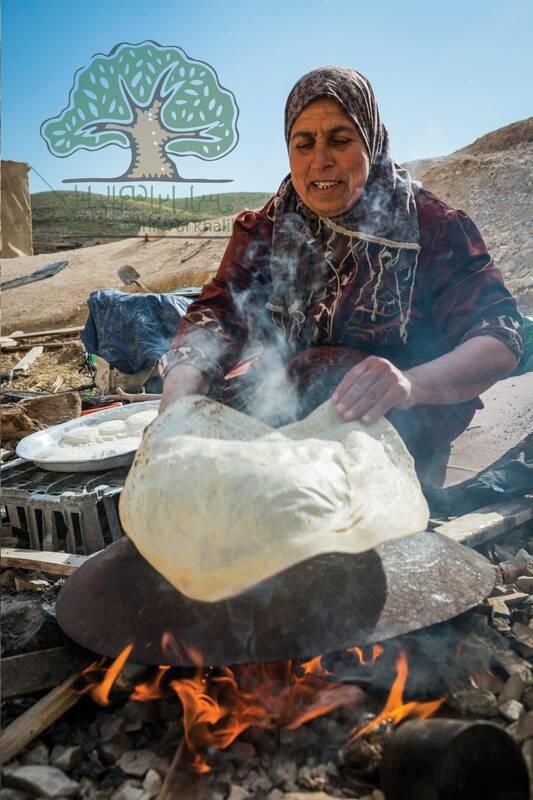 You can explore Bedouin villages and experience the fundamental Palestinian tradition of hospitality. 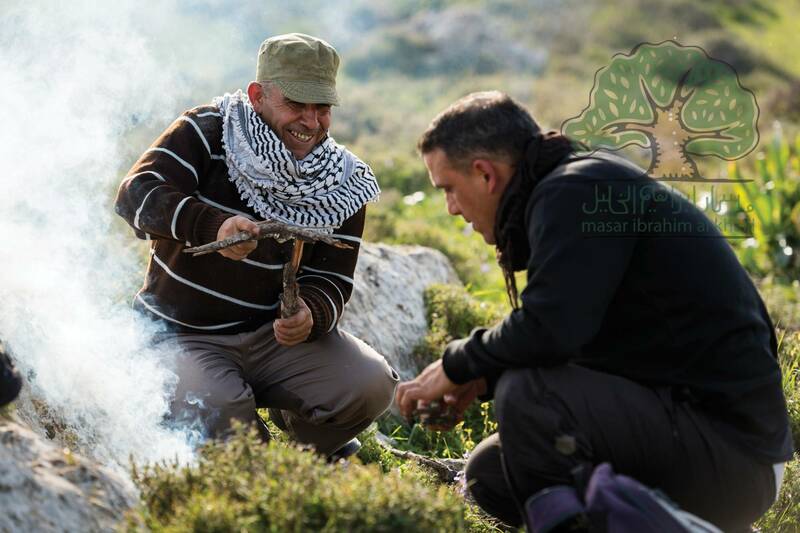 The Masar Ibrahim invites hikers not only to experience nature, but also to shape their perspectives of the area through the common values of tolerance, trust and peace. Join us on an unforgettable journey: discover Palestine's hidden treasures, explore the richness of its history and immerse yourself in the hospitality, heritage and culture of its people. The group will meet in Bethlehem. The meeting point will be in front Bank of Jordan at Bab Zukak Junction in Bethlehem. It is the last bus stop for #231 bus starting from the Damascus Gate in Jerusalem. The buses are frequent (around each half an hour) and it takes around 45 minutes to arrive to Bethlehem. At 2 pm there will be an arranged transfer for all the participants to Jenin. The group will be lodgment in a Hotel in Jenin, were the group get the changes to relax before starting the Thru-hike journey. More detailed information we will provide for the participants, so they know where they are staying and hear more about the guides. Rummana, literally meaning pomegranates, is approximately 17 kilometeres northwest of Jenin in the northern West Bank. This hike is one of the most challenging but superb hikes in Palestine. We will start walking through the ancient village on a hill slope, where we will come across traces of ancient remains, including cisterns and caves carved into rock. Continuing, we will encounter a village called Ta’ennek in the northwest of the Jenin governorate, where you will be welcomed and hosted by their village consulate and some local people. Ta’ennek is a calm and quiet village with a simple way of living. We continue walking towards Burqin, a small agricultural village. Walkers will have the chance to purchase fresh fruit, olive oil and other locally produced organic products. Burqin hosts the Church of St. George, said to be one of the oldest in the world. We will start our hike from Burquin, a small agricultural village in the northern West Bank whose population depends mainly on olives and olive oil production to make their livings. We will continue walking to Arraba, where you can see beautiful antiquities from the Ottoman era and stunning views of surrounding mountains and valleys. In Arraba you will tour the old city and be welcomed and hosted by the village consulate. We will start our hike from an ancient stately palace in Arraba's historic center, before crossing through serene countryside, olive groves and orchards to arrive at Sanur’s hillside lookout tower, approximately 26 kilometers south of Jenin. In Sanur you will have a tour of the city and meet with their village consulate before digging into a traditional Palestinian dinner. The walk begins in Sanur, south to Sebastia, approximately 12 kilometers northwest of Nablus. You will visit the ancient hilltop city of Sebastia, home to several important archaeological sites dating back to the Canaanite, Israelite, Hellenistic, Herodian, Roman and Byzantine periods. The walk begins in Sebastia and continues through olive orchards and over rocky hills to Nablus. Along the way, enjoy panoramic views of the surrounding countryside. 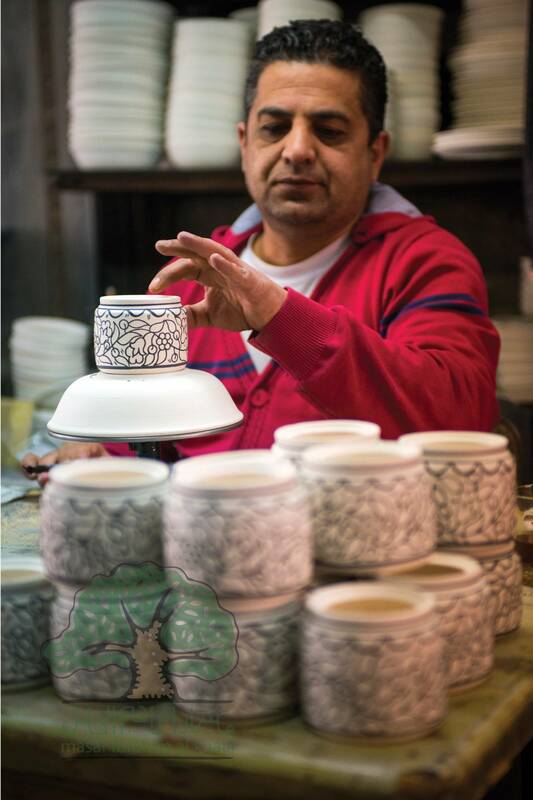 Nablus is well-known for its delicious dessert, kanafeh, as well as its olive oil soap: we will stop for both while visiting Nablus' old town. Enjoy your walk! After breakfast you will be transferred from Nablus to Awarta, where you will walk through the beautiful hills of the Nablus region to Duma. Awarta, 8 kilometers southeast of Nablus, has been inhabited since biblical times. Located 560 meters above sea level, Awarta's surrounding territories which are a mixture of plains and mountains. It is famous for its olives, almonds, corn, lentils, and a variety of summer vegetables such as tomatoes and zucchini. The olive production is the main source of income for many inhabitants. The walk begins from Duma, passing through the village of Mughayyar and alongside a deep, rocky wadi to the natural springs and archaeological site of Ain Samia. You will be transferred to Taybeh, a mainly Christian village, where you will enjoy a visit to Taybeh Brewery - the first microbrewery in the Middle East - in addition to visiting the ruins of the 4th century church of St. George. Begin by following a small road from Kafr Malek to Ein Samia Valley. The path drops down into Wadi al-’Auja, a deep, rugged wadi that runs from Ein Samia (Samia Spring) down to Ein al-’Auja in the Jordan Valley. From Ein Al-’Auja, the trail follows the wadi and Roman aqueducts, used in ancient times to divert water from Ein al-’Auja to Jericho, past the ruins of a Byzantine church and into the Al-’Auja Bedouin community, where you will experience a great cultural night with a delicious traditional meal . The section begins in the broad plains of the Jordan Valley and passes by the tents of the Bedouin community of Wadi al-’Auja. The trail enters Jericho, one of the oldest cities in the world, whose calm atmosphere and rich heritage is a true oasis to all walkers. Visitors can enjoy a visit to the Mount of Temptation, Tell es-Sultan, and the winter palaces of Hisham and Herod the Great. 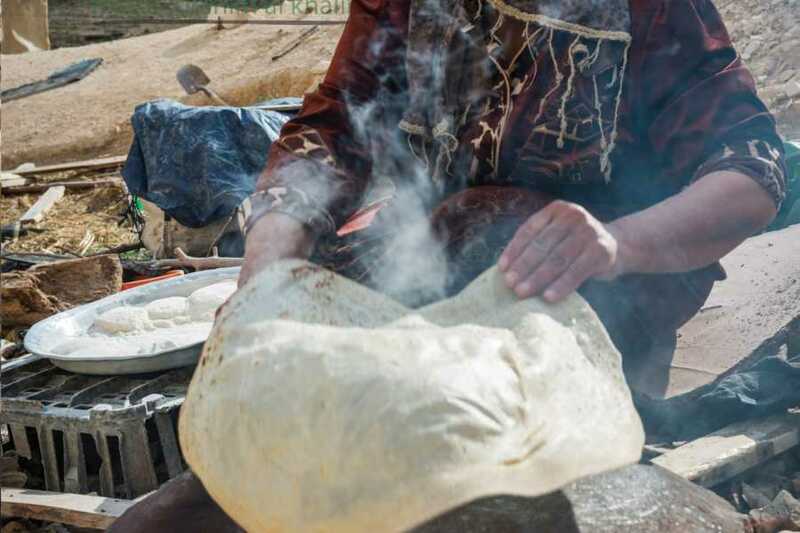 Nearby Jericho, members of the Aqbat Jaber Refugee Camp Women’s Center invite hikers for warm, home-cooked meals and overnight stays in their one-of-a-kind mudbrick guesthouse. Hikers can also have their passports stamped at the guesthouse. A long and beautiful hike leads through Wadi Qelt, where walkers will discover the ruins of King Herod’s winter palace and see the foliage clinging to the sides of the rocky canyon Deir al-Qelt (St. George’s Monastery). The road becomes easier as it leaves the monastery and heads towards the Roman aqueduct - another spectacular landmark located along this section of the Masar. 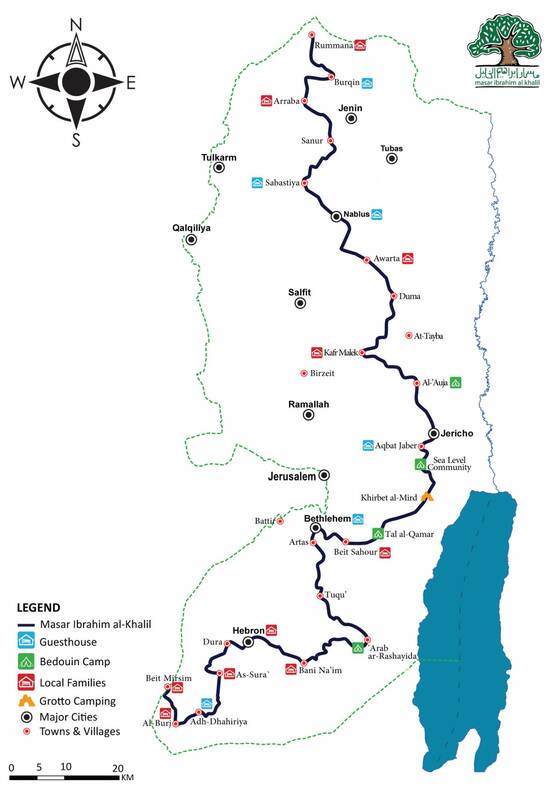 The trail passes on the historic route from Jericho to Jerusalem through the remote lands and wilderness of the Jordan Valley, leading to the Bedouin camp located exactly at sea level. The journey goes through largely uninhabited areas, following old pilgrimage routes through a deep valley and up a hill to a stunning overlook of Jericho and the Dead Sea. Along the route hikers are likely to encounter Bedouins herding their camels and sheep. At the end of this section awaits Khirbet al-Mird (Hyrcania in Greek), the mysterious fortress commonly attributed to the Hasmonean leader John Hyrcanus, who is said to have built it towards the end of the second century BC. The winding trail takes hikers down into the Kidron Valley, home to caves of various sizes that in the Byzantine times were inhabited by monks. The spectacular Mar Saba Monastery and a few Byzantine monasteries are found here; the cluster was named after Saint Saba (439-532 CE), who settled in a cave opposite the site to live in complete seclusion. Hikers can pause here to soak in the view and atmosphere before continuing through hills and valleys to the Tal al-Qamar area. 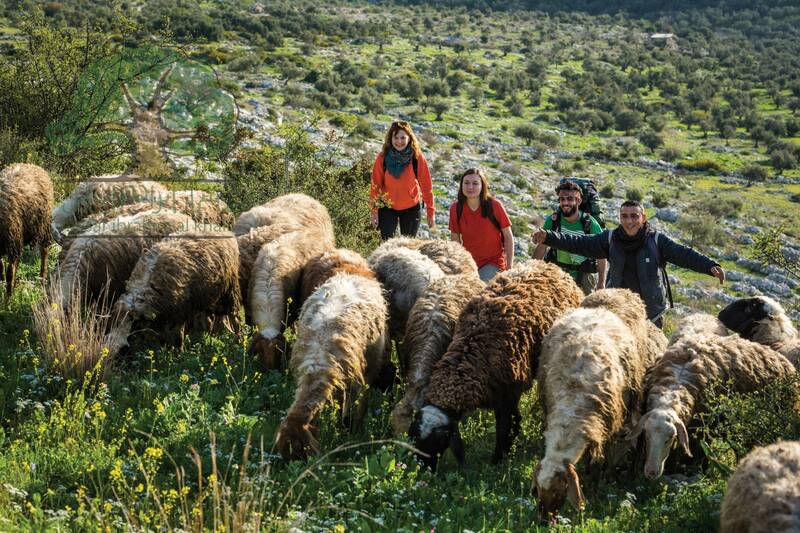 Starting at Tal El Qamar this trek will lead across the serene landscapes of the Jerusalem wilderness towards Bethlehem. On the way, hikers will climb some rocky hills but will also have plenty of time to rest and soak in the tranquil environment. After leaving the Bedouin desert, the Masar will take walkers through the meadows and villages of rural Palestine. A more urban environment awaits in Beit Sahour and Bethlehem, the place of Jesus’ birt, where there are historical and sacred sites such as the Church of the Nativity, the Milk Grotto, and the Shepherds Fields. Our walk will start from Manger Square in Bethlehem and continue towards Artas to visit a monastery and spring. It will continue on mainly flat terrain, with one ascent to stunning views from Khirbet Tuqua, before winding through the fertile valley towards Tuqua. Dinner and Overnight with local families in Tequa. This walk will take us from Tuqua through Wadi Jihar to Reshayda village, located about 20 km east of Hebron. This is a wonderful desert hike through the Jerusalem wilderness, descending into the spectacular Wadi Jihar, a deep limestone canyon that winds down into the desert. The hike from Tuqua through Wadi Jihar will take about 4 hours, mostly on a rocky desert path, with a descent and few small climbs. We will emerge from the valley reaching the village of Rashaydeh, and then continue walking toward the Bedouin tent nearby. We will hike from the Rashaydeh desert area to Bani Naim, the mountain from which Abraham watch the destruction of Sodom and Gomorrah. The terrain is rocky and uneven. At the end of the day we will have a tour of Bani Naim, and enjoying a cooking class with local women. 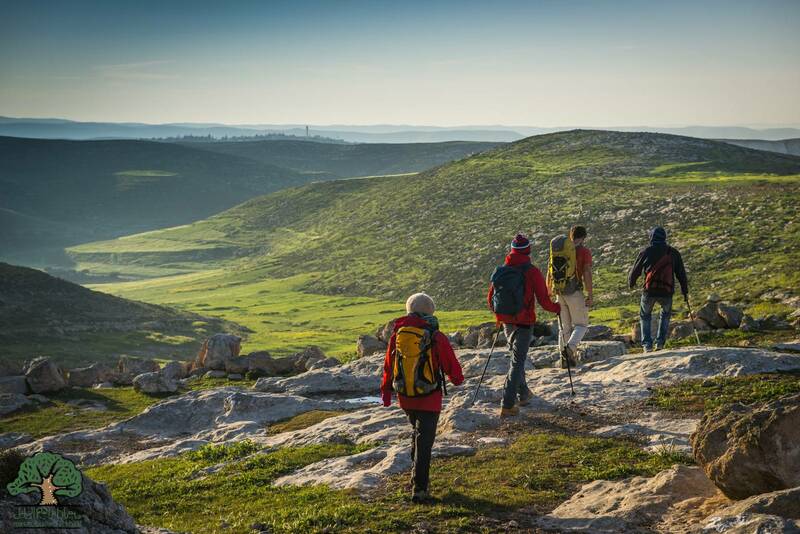 This hike starts from Bani Naim and leads to Hebron, known in Arabic as Al Khalil. This section of the Masar winds through the mountainous region where Ibrahim interceded on behalf of Lot’s people in Sodomand Gomorrah. At the end of the hike you will enjoy walking through the Old City of Hebron, topped with a traditional Palestininan meal. The journey from Hebron to Dura, the path leads through the souqs and alleys of the Old City of Hebron, heading towards Dura. In Dura, hikers will start their day by visiting the Dura Cooperative Association for Agricultural Production, where they can stamp their Hiker Passports and support the women’s cooperative by purchasing some aromatic herbs, sweet raisins or homemade malban (dried grape juice rollups) - tasty snacks for the way. After leaving Dura the trail passes through scenic valleys covered with pine trees. Along the way, there are some hills to climb. The final part of this section leads up the hill to As-Sura, a small agricultural village in the Hebron Governorate. After passing through the rural areas surrounding As-Sur, the path to Adh-Dhahriya leads through a pine forest. It continues towards Khirbet Rabud, the only major Late Bronze Age archaeological site in the mountains around Hebron. The final stage of Masar Ibrahim takes hikers on an interesting 19-kilometer hike between Adh-Dhahriya, located 23 kilometers southwest of Hebron, and Beit Mirsim, located 30 kilometers southwest of Hebron. After doing the final hike, the SIRAJ-center will arrange a transfer for the participants from Beit Mirsim to Bethlehem. The participant’s luggage will be transferred from each day. Doing the overnight with the local families: the participants will stay in shared rooms and will be divided in different families.